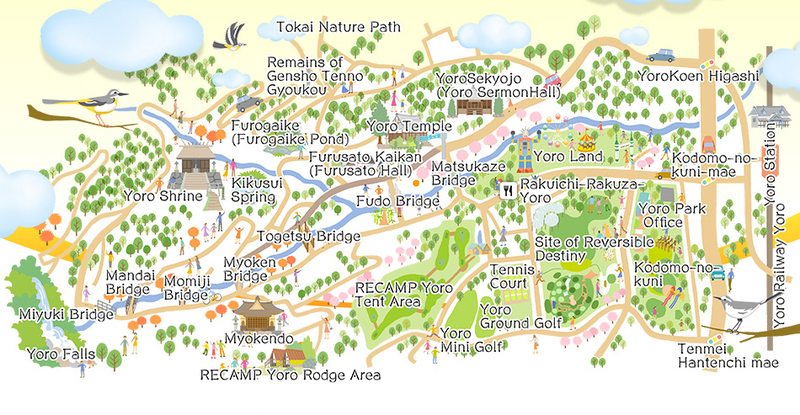 Yoro Park is a huge park blessed with the beauty of nature which is located at the foot of the Yoro Mountains in Nishimino of south-west Gifu. 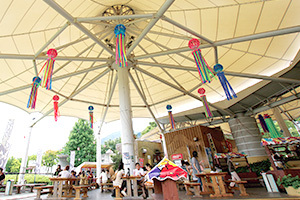 The park features a selection of amazing sites where visitors can become one with nature, including Yoro Waterfall, one of the 100 most famous waterfalls in Japan, the wondrous and magical Site of Reversible Destiny, and the Gifu Kodomo-no-kuni children's park, designed around the natural landscape and environment. 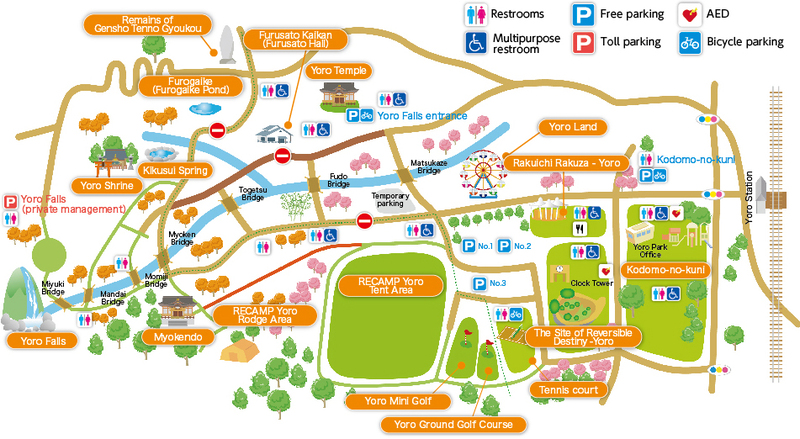 *Yoro Park may close temporarily in poor weather conditions. 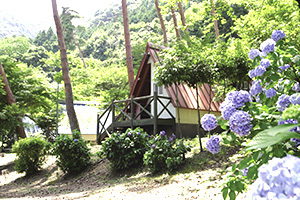 *Opening hours may be extended over the Obon holiday or during the seasons of the cherry blossoms or the autumn colors. Announcements will be made on the park's homepage. 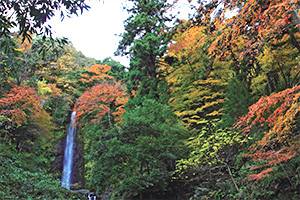 Yoro Waterfall is counted among the finest waterfalls in the country, and the walking path that stretches around it greets visitors with breathtaking scenery regardless of season. 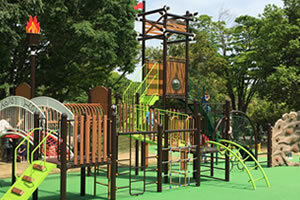 Kodomo-no-kuni in Yoro Park is a playground for children that makes full use of the area’s geography and environment. *Prices in parenthesis are for the second round and on. 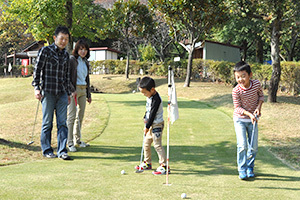 *Children in elementary school and younger are not allowed on the golf course. 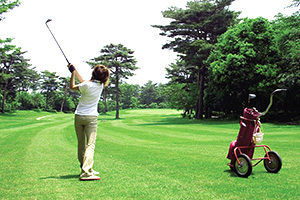 *Club and ball are free of charge. *Children under junior high school age must be accompanied by a guardian. 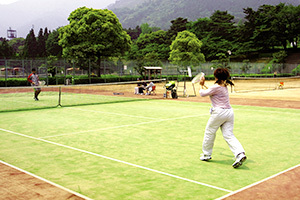 *Rackets, balls are not available to rent. *Hours of operation may vary depending on the season. *May be closed due to weather conditions. Parking fees may vary, so please confirm the price of each lot when parking. This content is available in a PDF file. We recommend installing Adobe Reader to view the PDF file. 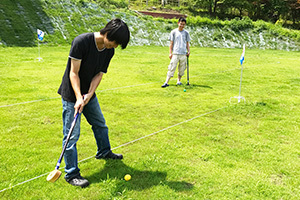 当サイトに掲載の記事・写真の無断転載を禁じます。Copyright © 2006- Yoro Park. All rights reserved.